Bankstown Public School seem to be the first (of a few?) schools that will be trialling the ‘Student’ Opal card, a replacement for the old (‘SSTS‘) passes provided to students for free travel. The student Opal card is anticipated to be ‘blue‘, joining the Adult card in Black, Child card in Green, Concession card in Grey/Silver, and the Pensioner/Senior card in Gold. 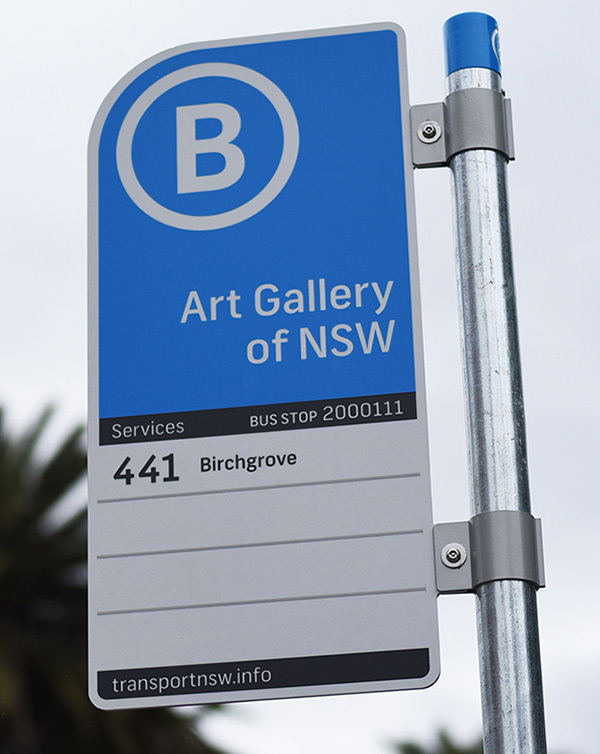 We are pleased to let you know, that our school has been selected by Transport for NSW to take part in the School Opal card Customer Field Trial, before the full launch of the card to the public. 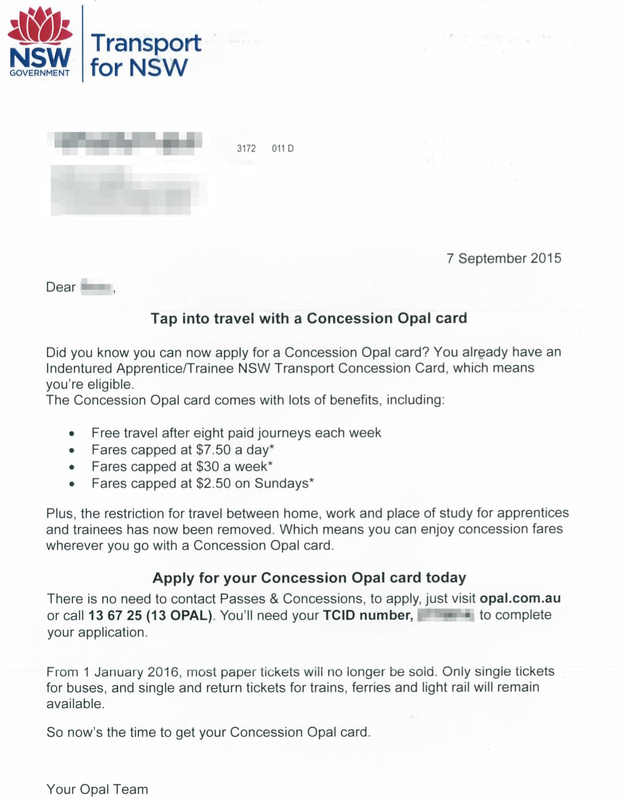 The School Opal card will make travel on public transport easy. It’s a single card for travel to and from school on your child’s approved mode of transport in the Opal network, replacing the current variety of SSTS single mode train, bus and ferry paper passes. During the Customer Field Trial, you will be asked to complete the School Opal card application process on behalf of your child. Your child will be asked to use the School Opal card when travelling to and from school, remembering to Tap On and Tap Off for each journey. The Customer Field Trial will also involve providing feedback across each of the three review stages of the School Opal card journey throughout term 4 2015. Survey 1 – feedback on the application process for the School Opal card. This will take place early in term 4. 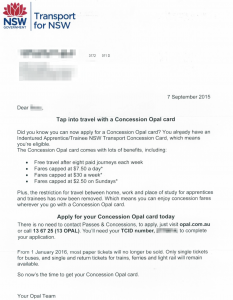 Survey 2 – feedback on the delivery of the School Opal card. This will take place mid way through term 4. Survey 3 – 4 x feedback surveys on your child’s experience of using the School Opal card. These surveys will take place between the middle and end of term 4. We also welcome your feedback at any point in addition to these phases. If you would like your child to take part, please complete the registration form by clicking on the link below. Please note that if you have more than one child at school, we ask you to nominate one child. The field trial and survey will be conducted by a company called Woolcott Research and Engagement, a reputable market research company that is working on behalf of Transport for NSW. If you have any questions regarding the School Opal card please contact Transport for NSW on (02) 8265 7115 or email: CFT@transport.nsw.gov.au. If you have any questions about the registration form or feedback surveys please contact Andrew from Woolcott Research and Engagement on (02) 9261 5221. Our public-transport loving Prime Minister Malcolm Turnbull has taken a swipe at Victoria’s much-maligned Myki card, telling his first press conference as PM that he prefers Sydney’s Opal card. While Tony Abbott always polled badly in Victoria, Mr Turnbull will endear himself to the southern state by joining Melburnians’ pastime of bemoaning the frustrating public transport ticketing system. “I’m as passionate about water as I am about technology or indeed the NSW Opal card … or the Myki card, I think Opal is better actually, more functionality,” Turnbull quipped while flanked by NSW Premier Mike Baird and Victorian Premier Daniel Andrews. 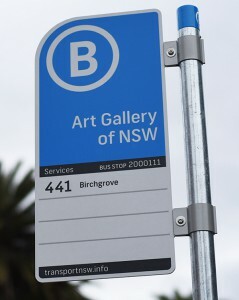 Mr Turnbull is is well known for using public transport and tweeting about it on social media. He even made headlines after taking the train to Geelong following Bronwyn Bishop’s infamous $5000 chopper ride to a Liberal Party fundraiser in Geelong. Mr Andrews planned to use his visit to Canberra to lean on Mr Turnbull’s love of public-transport to prize open the $3 billion “locked box” for the dumped East West Link road and argue it should be applied to Labor’s vaunted $11 billion Melbourne Metro Rail project. “He’s an undoubted fan [of public transport],” Mr Andrews told reporters on Tuesday. Despite his public transport credentials, Turnbull has some way to go to convince the everyday punters he also gets the game of AFL, much-loved in Victoria, South Australia and Western Australia. “I have to confess I vote for, I support, in Australian Rules the Roosters, who of course aren’t in the grand final – sorry the Swans,” Turnbull told Radio National when asked back in 2008.